The trade involving Kyrie Irving and former All Star Isaiah Thomas from two years ago pissed off Anthony Davis’ father (also named Anthony Davis) so much, he put out a public statement last week saying it’s the reason why he does not want his son to play for the Celtics. It wasn’t the trade itself but the way the trade went down that shocked the sports world and pissed off a lot of NBA Players as well as fans of Isaiah Thomas. As a reminder, Isaiah Thomas’ sister died suddenly during the Celtics playoff run two years back. He was also forced to have season-ending hip surgery during the Eastern Conference Finals, which the Celtics lost to the Cavs 5-1 (their one victory coming after IT was forced out of the lineup ironically). Two months later and a week after the Celtics signed Gordon Hayward, the trade involving him (as well as Jae Crowder and Ante Zizic) for Kyrie Irving went down. Thomas (and the other two players involved) never saw it coming and found out the same way everyone else did: From the news. He didn’t hear it from the Celtics in advance and after what happened with him during the playoffs…well, he wasn’t wrong to feel disrespected. As everyone knows, Kyrie Irving was the one who demanded the Cavs trade him ASAP right after the Cavs lost to the Golden State Warriors in the NBA Finals. 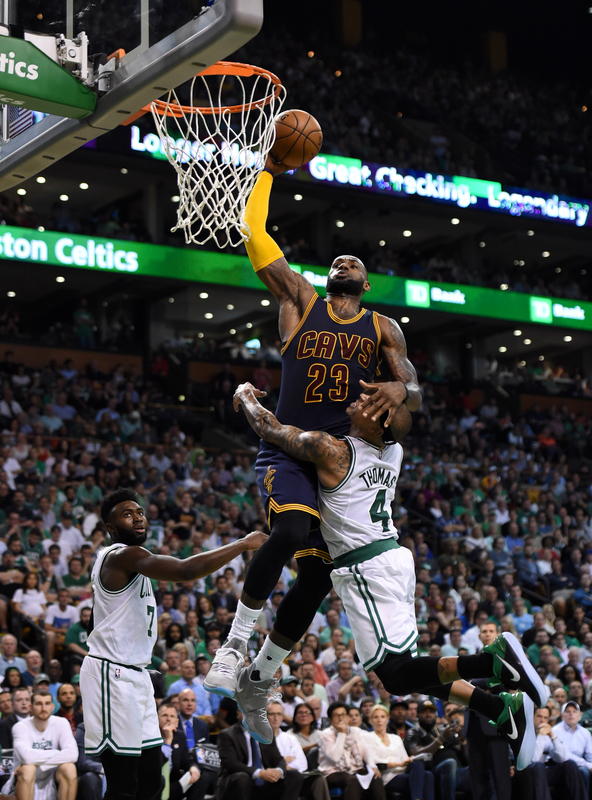 The Celtics made the Cavs an offer and the trade went down. The problem wasn’t the trade itself. Isaiah Thomas is well aware it was business decision but and no one is untouchable. Given what happened to him two months earlier, to then be traded a little over a week after the Celtics signed Gordon Hayward without advance notice would understandably make anyone feel disposable. More so given he was a fan favorite. Isaiah Thomas and Danny Ainge eventually sat down and hashed things out. The man once known as the King of the Fourth only played a handful of games with the Cavs last January before he was traded to the Lakers and was released at the end of the season (The Lakers didn’t make the playoffs last season). He was signed to the Denver Nuggets during the offseason at the Veteran minimum. Just the season before, he was in the All Star game. Isaiah’s public criticism of the Cavs and referencing his experiences with the Celtics during press conferences during his tenure with the team is pointed to as the main reasons he was traded mid-season last year. On that note, I do think IT4 will return to the Celtics in the next few years. Most likely as a Free Agent in my book. I don’t see the Celtics trading for him personally. 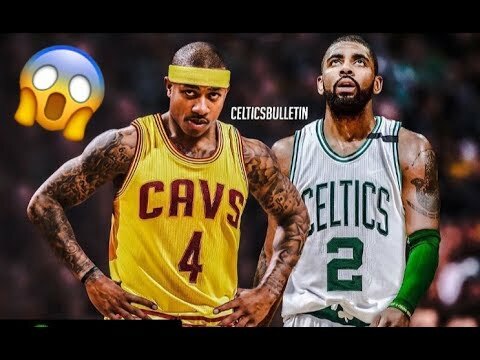 I think Kyrie Irving would want it since the trade came during a very low point in IT4’s life and it’s obvious he wants to return to the Celtics. At the same time, the undeniable fact is IT4 was a defensive liability. No one doubts his explosive offense but off the ball, the Celtics had to have him switch off with another defender or otherwise “hide” him. The obvious size difference aside…yeah. LBJ literally mopped the floor with him during that playoff series. THIS is why Danny Ainge pulled the trigger and traded him. IT4 is useless on defense against (much) bigger players like Lebron James, Giannis, Durant, Simmons, Westbrook and so on. Until he figures it out like Nate Robinson did, I don’t think the Celtics should take him back. Isaiah Thomas aside. Anthony Davis himself said he would only consider playing with the Lakers, Knicks, Clippers or Bucks longterm and everywhere else would be a one-year deal. So, there is little to no point in the Celtics pursuing him knowing that. The Pelicans and AD’s agent both announced yesterday he will not be traded before the deadline. Given the Celtics just moved a player to open up a slot, that automatically makes them the frontrunner for AD come July 1. The big problem is the knowledge that he will be a 1-year rental so…yeah.